New Sporting Lisbon manager Sinisa Mihajlovic says his first objective for the troubled club is to “do better than last year”. A group of 50 fans reportedly attacked players and staff in May, after the club missed out on a Champions League place on the final day of the season. Nine players have terminated their contracts in response to the incident. One of those – Portugal goalkeeper Rui Patricio, who is in Russia for the World Cup – joined Wolves on Monday. 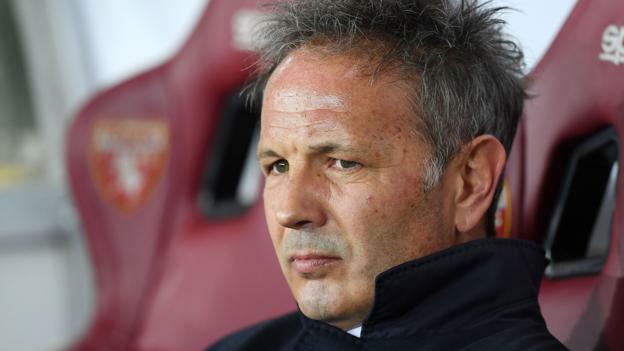 Serb Mihajlovic, 49, replaces Jorge Jesus, who left the club on 6 June. He has previously managed six Italian teams, including AC Milan, and Serbia’s national team. Three of Patricio’s Portugal team-mates – William Carvalho, Gelson Martins and Bruno Fernandes – have also left Sporting, as have Ruben Ribeiro, Bas Dost, Daniel Podence, Rafael Leao and Rodrigo Battaglia. The players wrote to the club citing “just cause” following the attack at Sporting’s training base on 15 May, five days before they lost in the Portuguese Cup final.